Join us for our biggest and best Easter Celebration yet! On Saturday, April 20th, bring the family to the shop for some Easter festivities. 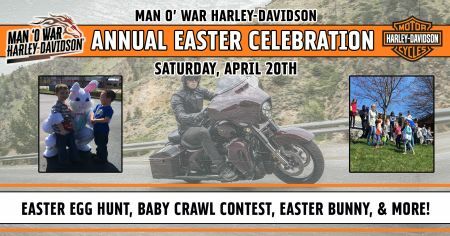 The Easter Bunny will be here, and we'll have some family fun with our first ever Baby Crawl Contest, our annual Easter Egg Hunt, and more!